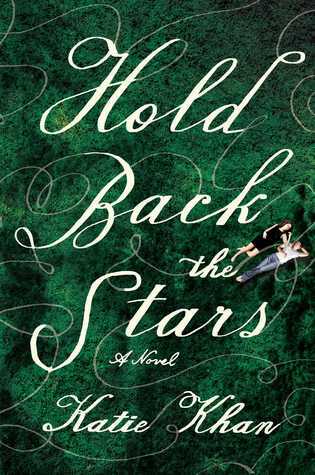 Hold Back the Stars opens with our two main characters floating through space with only ninety minutes of oxygen remaining. A few pages in and I was totally hooked. The story flashes back and forth between the past and present day and the reader is able to learn more about the characters, their history, and how they ended up floating through space. The story line was fast paced, but I found myself getting a little bored with the romance. I was expecting a little more science fiction, but the love story outweighed the world building that I was so looking forward to. It didn't keep me from enjoying the story, but it was definitely romance heavy and that wasn't really what I was expecting. The setting was complex and unique, and I loved how the present day chapters were split up throughout the book to constantly leave the reader wanting more. Hold Back the Stars grabbed my attention and sucked me in from the first page to the last. Even though I didn't really love all of the romance, the setting and main plot of the story kept me engaged until the very end. Speaking of the ending, can we talk about how confusing and amazing it was? Totally not what I was expecting, but in a really good way! Hold Back the Stars was a fun and unique read and I would recommend it to friends who enjoy romance novels with a twist! *Thank you Gallery Books for sending this novel in exchange for an honest review.